Hayley and Alex visit Ariel Stark-Benz , formerly of Ace Hotel, at his design-forward L.A. headshop mister green to talk what he looks for in bong and his idea for selling "old man weed." We have to switch payment processor -- perhaps you can relate -- so today's special legalization issue is free for everyone! A subscription costs C$19 for one month, C$90 for six months and C$156 for a year. That's as low as C$13/month. All subscriptions begin with a risk free four-issue trial subscription. Contact Adrienne Nascimento to subscribe. She'll get back to you soon. 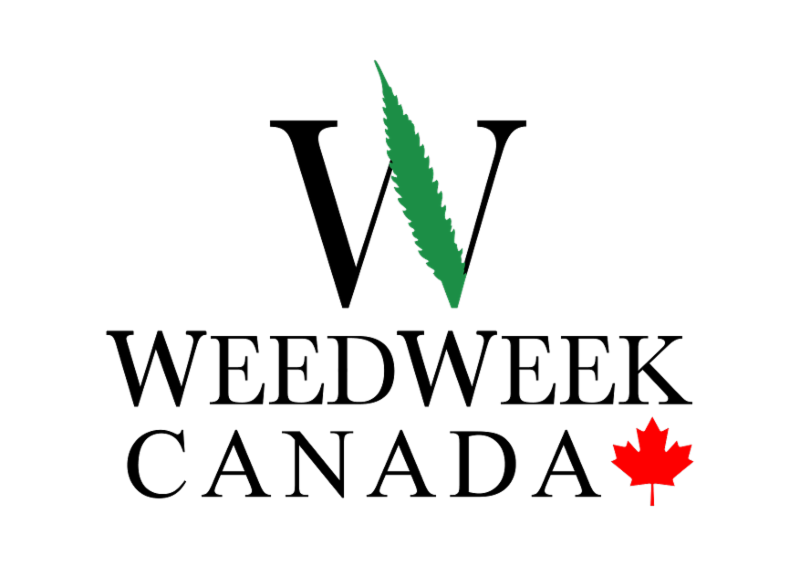 Canada became the first large industrialized nation to legalize cannabis . After the Senate passed legalization bill C-45 by an almost 2-1 margin , Prime Minister Justin Trudeau said legalization would take effect October 17, giving companies, municipalities, law enforcement and other institutions less than four months to prepare. The law allows for home grows of up to four plants , despite laws in Quebec, Manitoba and Nunavit which ban home grows. The disparity may require settling in court. Of course, legalization is also big news for Canada’s legal marijuana industry. Fortune found six stocks which jumped on the news . Activist Jodie Emery says the law creates 45 new cannabis offenses. Read the law here. The Globe and Mail looks at Trudeau’s changing attitude on cannabis . The N.Y. Times says legalization will bring cultural changes to Canada . 🍁For much more, check out today’s FREE legalization issue of WeedWeek Canada. Rolling Stone asks what legalization up north means for the US. It also asks what’s up with Sen. Minority Leader Check Schumer’s (D-N.Y.) promised marijuana bill . More lawmakers consider MED an alternative to opioids , Axios reports. Rep. Pete Sessions (R-Texas) blocked a House vote apologizing for the war on drugs. A survey by the Center for Americans Progress found 68% of Americans want to legalize REC , a new record. A long awaited New York State study recommends legalizing REC . The study itself has not yet been released. 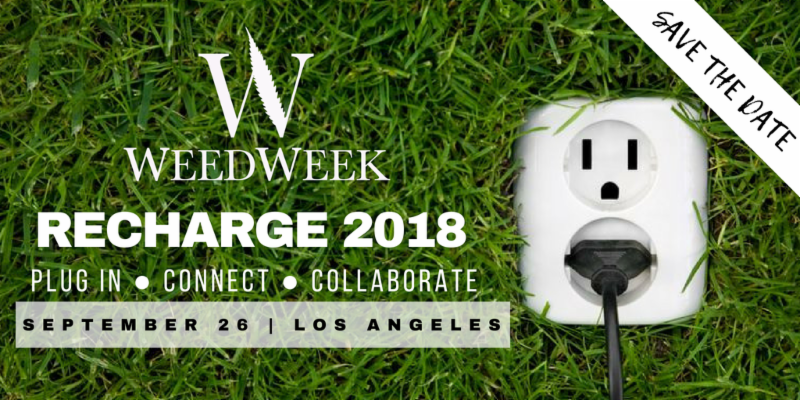 WeedWeek podcast co-host Hayley Fox talks to Los Angeles city councilman Herb Wesson about what’s working and what’s not in California’s biggest market. L.A. County maintained its ban on cannabis businesses in unincorporated areas. D.C.’s non-voting congresswoman, Eleanor Holmes Norton, introduced a bill to legalize consumption in federally supported housing in legal states. The Texas Republican Party called for marijuana decriminalization . Oklahoma MED opponents spent $453,000 on ads to opposes this week’s MED initiative. Public radio looks at the cultural divide in the Sooner State . The Arkansas Supreme Court cleared the way for the state MED program to begin. After Tamarac, Fla. banned dispensaries, the mayor called MED a “gigantic scam,” and told residents they could get CBD oil online. Ontario premier-designate Doug Ford has opened the door to a private cannabis market in Canada’s most populous province. 🍁For more, check out today’s FREE legalization issue of WeedWeek Canada. Chinese-Canadians rallied against a dispensary in Calgary’s Chinatown. 🍁For more, check out today’s FREE legalization issue of WeedWeek Canada. The Italian military, the country’s only legal MED supplier, can’t keep up with demand. French authorities are looking into the legality of the new CBD coffeeshops in Paris. One may have been shuttered. Big US banks are beginning to clamor for access to cannabis businesses , Politico reports. “If we’re not at a turning point, we’re very close to it,” Cam Fine, former head of the Independent Community Bankers of America trade association, said. A U.S. Tax Court ruled a cannabis business can’t deduct expenses related to selling non cannabis products, such as accessories. Canna Law Blog asks if California businesses will be ready for new packaging and testing guidelines which take effect July 1. MJBizDaily found 0.7% of licensed businesses in California -- 12 licensees -- hold 20% of state licenses . The California Growers Association has filed a lawsuit against the state for allowing the practice, known as stacking. California hotels are competing to attract cannabis users. San Diego-based Cannabiniers says it will introduce the first non-alcoholic, THC-infused, craft beer . The Colorado Springs Gazette has a deep dive into the cannabis industry’s lobbying efforts in Colorado. The industry spent at least $720,000 on Colorado lobbyists during the last legislative session, more than the oil & gas, liquor or grocery industries. It’s part of a long series on the unintended consequences of legalization . The Massachusetts industry appears likely to begin on a cash only basis . Few if any shops will be open by the July 1 deadline. Molson Coors is the latest mega-brewer to explore cannabis beverages . 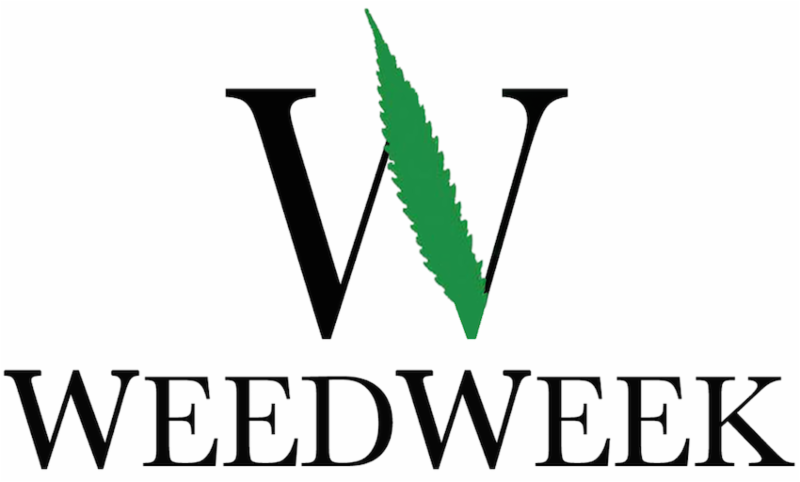 Washington is encountering glitches with its MJFreeway cannabis software system as the contract comes up for renewal. Marijuana Policy Project has faced a difficult transition since the departure of leader Rob Kampia. Beleaguered tech startup MassRoots pivoted again . Journalism site Poynter tells the sad story of The Cannabist and asks if the same fate will befall The Cannifornian, a similar site which is a collaboration between several newsrooms also owned by hedge fund Alden Capital. 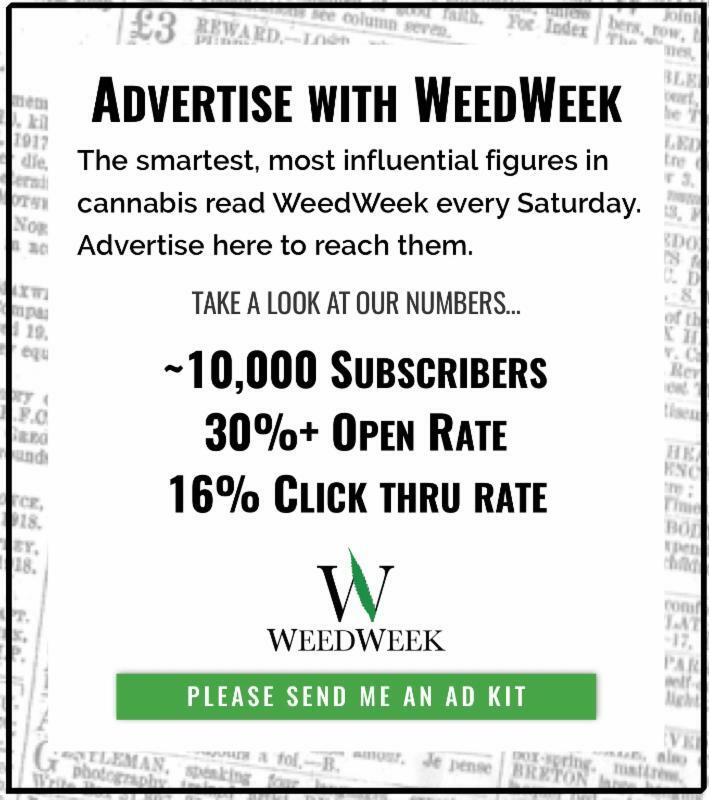 Apparently the Cannabist will not be sold to founding editor Ricardo Baca, who now runs content agency Grasslands. The name Sandoz, a subsidiary of Swiss giant Novartis, will start to appear on packaging put out by Canadian MED company Tilray. Tilray also filed to go public in Canada. Canada’s Financial Post checks out the robots and other high-technology used by Canadian cannabis growers. Canadian giant Aurora plans to spin its US assets out into a separate company. 🍁For more, check out today’s FREE legalization issue of WeedWeek Canada. MJBizDaily says it’s time for cannabis entrepreneurs to look for opportunities globally . Former Mexican President Vicente Fox joined the board of High Times . Greece is optimistic about the MED business. Budtenders have high turnover rates. The FDA is expected to decide Wednesday whether to approve Epidiolex, the CBD seizure drug developed by the U.K.’s GW Pharmaceuticals. It would be the first marijuana-derived drug approved by the agency. Business Insider asks what it means for the cannabis industry. The U.K. is re-evaluating its MED policy after a boy with epilepsy’s medicine was confiscated at London’s Heathrow airport. Former Conservative leader William Hague has urged Prime Minister Theresa May to legalize cannabis. A poll found 82% of Britons want MED legalized . CNN asks “ Does marijuana boosts users’ libidos? ” It’s complicated. Legalization in California has made it harder for charities to distribute free MED . With legalization in Canada, more parents and grandparents are expected to start using cannabis. In the N.Y. Times, a Washington dad writes about the difficulties policing his children in the era of just say yes. The Boston Globe asks if you’d smoke a joint in front of your kids. Only 14% of US adults smoked a cigarette in the past year , an all time low. A few weeks ago, someone asked the N.Y.Times Ethicist whether a houseguest needs to tell his hosts about his MED use. 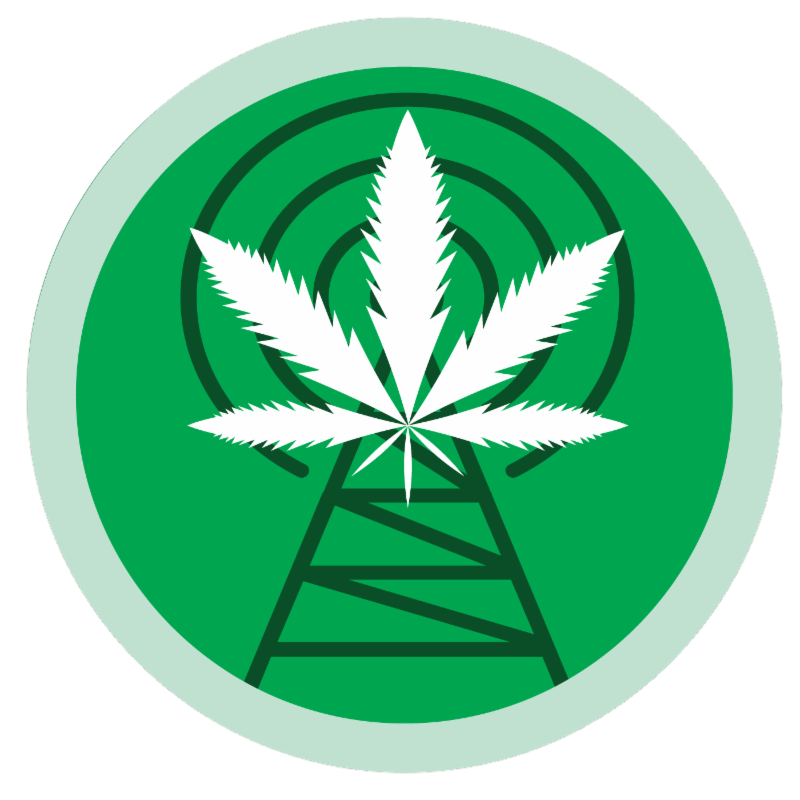 Denver has a new “game show” called Weeded Out , designed to teach kids the dangers of cannabis use. Even after New York City decriminalizes later this summer, racial minorities will still be hardest hit by summonses, activists say. The N.Y. Times editorial board called the city’s efforts insufficient . The L.A. Times editorial page thanked AG Sessions for kickstarting Congressional efforts to legalize. Acting DEA chief Robert Patterson said he would step down . It’s not clear who will replace him. Police raided two cannabis tour busses in Denver, citing 31 and taking a driver into custody for suspected DUI. It’s not clear why these companies, which have long driven tourists around the city center, were raided at this time. The companies plan to challenge the allegations. For more see here . Trump nominated a new federal prosecutor, Jason Dunn, for Colorado . An industry spokesman approved of the pick. Michigan will consider a bill to expunge or seal past cannabis convictions. Attorney General Jeff Sessions said he had not spoken to President Trump about the latter’s apparent support for protecting state-legal cannabis. Police raided a previously legal grow in Calaveras County, Calif., after the new countywide ban took effect. In rural Appalachia, the opioid crisis is becoming a meth crisis. A court upheld the conviction of Delaware’s cannabis “Robin Hood ,” Jessica Andrevich. Topic tells the story of Folsom Prison in comic form. San Diego banned pot growing in its new urban gardens. The last residents on Halekamahina Hill, a Hawaiian community inundated with lava, are a 66-year old man, his grandson and their $100,000 marijuana crop. The man believes their crop and home are high enough, as it were, to be safe from the lava. “We’re not stupid. We thought this out,” he said. Denied a permit, the southern California hash festival Chalice, scheduled for early July, sued the state Bureau of Cannabis Control and the city of Victorville. WeedWeek Canada writer Jesse Staniforth interviewed Henry Rollins for Leafly on how the anti-drug punk rocker came to respect cannabis. He still doesn’t use it, though. Leafly reviewed the Curidor, a $300 hash fridge . It also meets the guy who bought a $10,000 cannagar . Revolver Mag meets Devils Lettiuce , a legal weed company owned by pro skater Jerry Gurney. The 420 Games land in Denver this weekend.